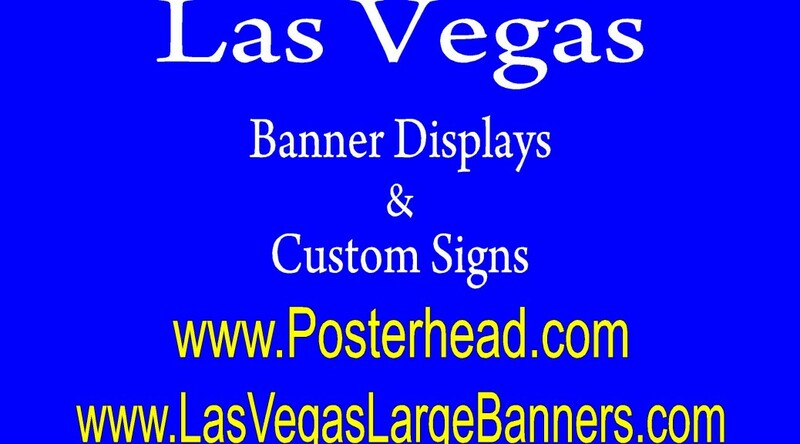 February 25, 2019 Robert W.
Shuttle bus sign graphics for advertising is great for getting your company knows as your shuttle bus is driving the streets of Las Vegas. Shuttle bus sign graphics are an effective way to distinguish your shuttle bus from your competition and increase your business. Shuttle bus sign graphics are cheap and can be installed yourself or by a sign professional. Each one of these shuttle bus signs has a advantage over the other. A full wrap is a printed vinyl that is applied over the shuttle bus that goes from bumper to bumper. It is laminated so that you can enjoy many years of use out of it as nothing is worse than seeing a wrapped bus that is dull in finish because the sign company did not laminate it to protect it from fading against the hot summer sun of Las Vegas. A partial wrap is where they print on vinyl, apply it to the shuttle bus but only to certain parts of the bus. Usually the sides of the bus and rear of the bus are covered as this is where most people can see your printed advertisement. Vinyl lettering is great for spelling out your company name and maybe listing a few of the services you provide. Sign stickers and decals are great for printing a logo or a caricature and placing it on your shuttle bus in a contoured cut to reflect the shape of the logo or caricature. Most people elect to go with a partial wrap as it is much cheaper than a full wrap and just as effective in most cases. Shuttle bus sign graphics can be any color and include pictures. See how these shuttle bus sign graphics can improve your shuttle bus image and get you noticed. Shuttle Bus Stickers and Signs For Advertisement. February 12, 2019 Robert W.
Shuttle bus stickers and signs is great for advertising on your shuttle bus. Your shuttle bus shuttles people and supplies all over the city and why not take advantage of the great opportunity to get noticed by the thousands of people that will be driving next to you ? Shuttle bus stickers and signs is a cheap and economical way to get your shuttle bus noticed and also promote your business or you can lease/rent out the sides of your shuttle bus for advertisement to other companies. Shuttle bus stickers and signs can encompass the whole bus ( a full wrap is a bumper to bumper print that is applied to the bus ) to a partial wrap or just plain old vinyl lettering on your bus. Most shuttle bus advertisement includes a partial wrap instead of a full wrap because a partial wrap can be just as effective and save you money. The windows are usually covered on the shuttle bus with window perforation film. The window perforation allows for people on the inside of the shuttle bus to have an unobstructed view while the people on the outside of the bus only see what is printed on the window covering. This window covering is usually a continuation of a sign or decal so that it looks as just one sign. Shuttle buses are often used for advertisement of other companies. In Las Vegas, the local transit company makes a lot of money advertising companies on the sides of their buses as they are running the routes for passengers. Thousands of people see the advertisement and companies take advantage of this opportunity to be seen. The casinos and hotels will often place signs on their shuttle buses to advertise shows or events that are occurring at their venues to attract people. Shuttle Bus stickers and signs work. Take advantage of this old school form of advertisement. February 9, 2019 Robert W.
Shuttle bus signage is a great way to get your shuttle bus noticed while it is driving along in the city of Vegas. Shuttle bus signage can include lettering, window signs , wraps and partial wraps of your bus. These shuttle bus signs will get your vehicle noticed as it is driven around Las Vegas and even while it is being parked. Casinos and hotels that own fleets of shuttle buses are learning the value of advertising on them either with simple signs or a full vehicle wrap. The companies advertise their own services or venues or sometimes allow other companies to advertise on their shuttle buses for a fee. Shuttle bus signage can be a full bumper to bumper printed wrap or a simple partial wrap or just lettering and decals. A full wrap goes from bumper to bumper and covers the entire vehicle body along with the windows. The windows are covered not with vinyl but with window perforation, which is a substrate that allows for people on the inside of the vehicle to see out, but the people on the outside of the vehicle can only see what is printed on the window covering. Most companies elect to go with a partial wrap of some decals and images and then place vinyl lettering in colors that are contrasting to the colors of the bus so that they stand out very easily. This type of non congested advertising works well, especially when people generally have only a few seconds to look at a moving vehicle. Some vehicle lettering and some decals can be just as effective as a full wrap at less than 50% of the cost of a full wrap. Shuttle bus signage will make your shuttle bus stand out while it is on the roads of Las Vegas. It can also make you money for selling advertising space on your shuttle bus. February 3, 2019 Robert W.
Shuttle bus advertising sign wraps will get your shuttle bus noticed in Las Vegas. Shuttle bus advertising sign wraps are growing in popularity in Las Vegas because they are affordable and get you results. Whether you are advertising your own business or someone else’s business for profit, these shuttle bus sign wraps work ! Many Las Vegas casinos and hotels own their own shuttle busses that bring customers to and from their venues. Traditionally, these shuttle buses were non descript transportation vehicles, but no more. Casinos and hotels have learned that they can wrap the shuttle bus so that it is a mobile billboard that can be seen by thousands of people every day. Best of all, the shuttle bus advertising sign wraps can be seen by the coveted tourists as they are busy walking Las Vegas Blvd or the adjacent streets. Shuttle bus advertising sign wraps can also be seen at the airports so tourists can be influenced by the advertisements as well. These shuttle bus wraps can advertise entertainment shows , special sporting events, casinos or other related ads and be seen by thousands of people everyday. Even parked, these mobile advertising billboards are still seen by everybody passing them. Sign wraps on a shuttle bus can be partial or full wraps. A partial wrap is just that, some of the shuttle bus is covered in lettering or wrap. A full wrap is where the entire bus, from bumper to bumper is covered with a printed cast vinyl that is applied over the entire body of the shuttle bus. On the windows, window perforation is used so that everybody on the inside can see out , but people on the outside only see what is printed on the window perforation. A shuttle bus advertising sign wrap can usually be printed and applied in just a few days. February 2, 2019 Robert W.
Shuttle bus sign wraps and decals is a great way to get your shuttle bus noticed ! Shuttle buses are all over the streets of Las Vegas and many of the nicer hotels and casinos use shuttle buses to bring patrons to their venues. Shuttle bus sign wraps and decals help local Nevadans and tourists to identify their buses and act as a mobile billboard that promote their shows and events. This type of advertising has greatly increased in the past few years with the cost of wrapping a vehicle declining. Costs of material and printing have been greatly reduced allowing for less costly shuttle bus wrap advertisement. Shuttle bus sign wraps and decals can be designed , printed and installed at local sign stores in Las Vegas. Most shuttle buses have what they call a partial wrap instead of a full wrap. The partial wrap is much less expensive and can be vinyl lettering, window perf on the windows and decals on the bus. 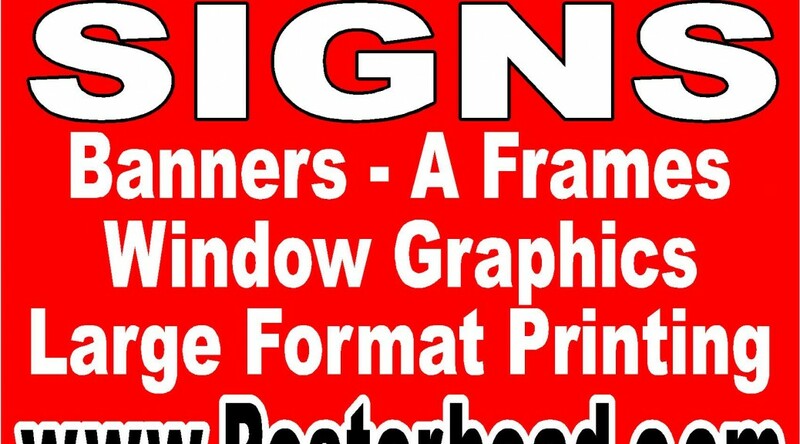 For example, a sign store can cut vinyl lettering in different colors and place them on the body or the shuttle buss , use window perf to cover the windows ( window perf allows for the windows to be covered with advertisement so that only the people on the outside can see the advertisement and the people inside have an unobstructed view looking outside) and maybe some decals and logos on the body of the bus as well. A full wrap is where you print on a cast vinyl and then proceed to cover the entire bus with the vinyl and window perf to act as a solid print. Shuttle bus sign wraps and decals work ! These sign prints and decals on a bus will definitely grab the attention of people as they drive through the streets of Las Vegas. January 28, 2019 Robert W.
Shuttle bus wraps in Vegas are becoming the new marketing tool for businesses in Las Vegas that shuttle people around. These businesses, usually Las Vegas Hotels and Casinos, are using shuttle busses to bring people to and from their venues and are using these plain old shuttle buses and giving them a make over. Shuttle bus wraps allow a venue to advertise on their shuttle as a very effective marketing tool. Shuttle bus wraps allow for a venue to advertise their location, business or one of the shows that are currently running at their location. For example, if a major casino has a top bill performer running a 3 month show at their venue, these shuttle busses are wrapped with the idea of marketing the show. This allows for tourists to see what is happening at their location as well as information about the show. it seems many tourists come to Las Vegas to have fun but need to connect with what is happening at all the venues. Shuttle bus wraps as a billboard and allow for the venue to advertise. Once the wrap is paid for, their is no monthly rental expense. 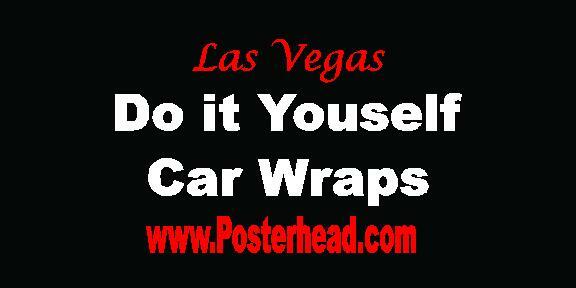 And best of all, shuttle bus wraps are a very cost effective forma of advertising as they are seen by thousands of tourists a day along Las Vegas Blvd and other streets. Shuttle bus wraps can be applied in just a day or two and can be taken off without any damage to the paint to the shuttle bus. This is one of the reasons they are so popular with casinos and hotels in Las Vegas. Shuttle bus wraps can be printed and applied with the help of local sign stores in Las Vegas. Contact one of these sign stores today and see how shuttle bus wraps can get you more customers and better name recognition.